It's St. Patrick's day. While most people go about wearing the odd green, drink excessive amounts of beer, try to get lucky (and not in the Leprechaun sense) while figuring out how to pronounce "Éirinn go Brách", I've always had a very different view of the holiday. I come from a household of engineers and was also at least nominally raised Catholic, so for me St. Patrick's day is all about his patronage of engineering, which became a tradition among US Engineering schools about the turn of the 20th century. 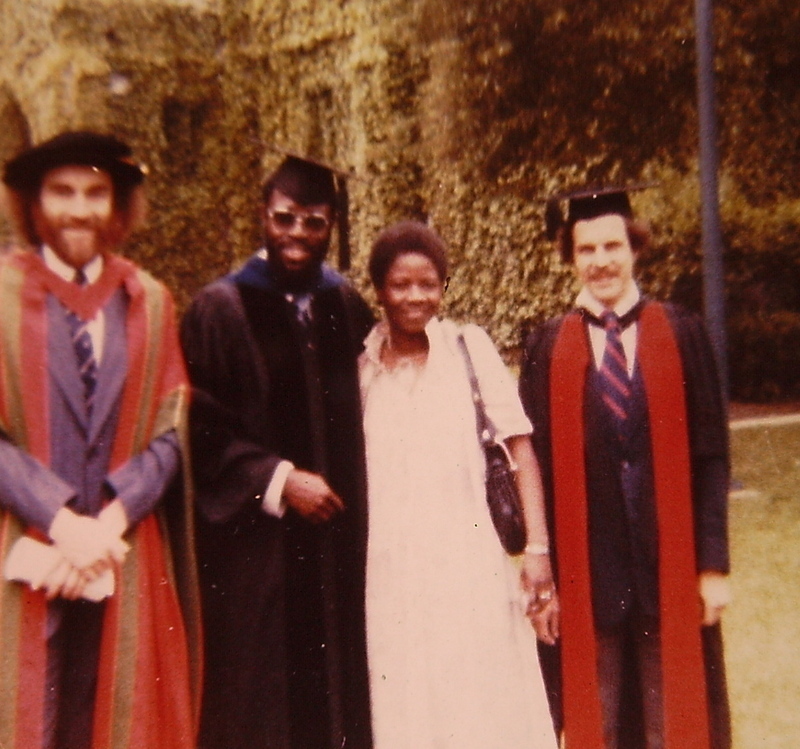 And this is where my father, Dr. Thomas-Ogbuji, came in 1976 to earn his Ph.D. in Materials Engineering at Case Western Reserve University. After the Nigerian Civil War the flagship university of the east, UNN, where I later started my own engineering studies, was in complete disrepair, and students from the defeated Biafra were being shunned by other Nigerian universities. My father took his best available option: an Association of African Universities scholarship to the American University at Cairo to study Materials Engineering, studying on the crowded boundary of Tahrir Square. It was a winding journey that took us all from Egypt to Cleveland. He was on a superstar trajectory among Engineering Ceramics and Metallurgy societies because of his prolific papers and pioneering work with electron microscopy in that field, but eventually he decided to take his career in a more pedestrian direction by heading to Nigeria to lecture. I suspect he must sometimes feel he fell a bit short of his potential, but I'm personally very grateful for his detour because it resulted in my spending almost ten years in my home country, during my crucial teenage years. My father's work in putting engineering into African context has another angle. He has long studied the bronze and gold casting techniques of the exquisite smiths of West Africa from Igbo territory and Benin City all the way to Ghana and beyond. The "Lost Wax method" of casting apparently invented in Benin is, as my father points out, "a technique still preferred for the precision casting of aircraft engine parts, bioengineering prostheses and other components for exacting applications." Of course my father was my main inspiration for becoming an engineer, and he similarly inspired others in our family, including my brother and co-Copian Chimezie, and a cousin Brian Nnolim. That brings me to another dear cousin Ubu Ana. Her younger siblings both eventually became doctors, like their father Dr. Ana, but she had spoken to my father a great deal about his work, and decided to also study Materials Engineering. 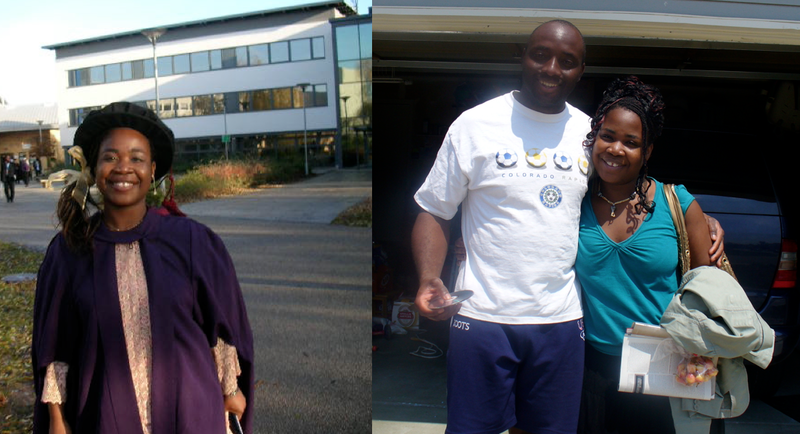 Sadly, she died of an acute illness soon after receiving her Ph.D. at Loughborough University. None of us who knew her doubted what a bright future she had in her profession, but recently her doctoral supervisor, Dr Gary Critchlow, Chairman of the Society for Adhesion & Adhesives, has been explaining to her extended family just how groundbreaking some of her work had been, even as a student. Ubu’s work has, in part, been published. The attached paper is from her research. This will one day be regarded as a very important paper IMHO as it turns one of the theories of adhesion on its head. It shows weak adhesives give better strength in bonded structures than strong ones which is very counter-intuitive! ....Her work though on the reaction kinetics of silicone-based adhesives is still World-leading to this day. I really should find time to publish more! Out of interest her work has been presented at major conferences as far away as China so her theories of why things adhere and, importantly, why they fail have been quite widely circulated and discussed. The paper is "The attainment of controlled adhesion by incorporation of low level additives in a PDMS-based adhesive" and from what I can tell, it offers findings that contradict prior assumptions with respect to how stearate compounds might operate as lubricants through interference at the molecular, surface level, even in the presence of strong adhesives. I've learned from my father how such subtle, esoteric distinctions can affect issues such as (from his research) preventing the space shuttle from burning up in reentry or (from Ubu's) improving molding and manufacture in the rubber industries which result in so many everyday products. My father has always complained that engineers deserve a Nobel Prize every bit as much as scientists, and especially Economists, whose representation among the prizes is probably as much due to their influence on financial matters as any merit in fundamental contribution to humanity. Maybe one day my father's dream will be fulfilled and engineers will receive he recognition they deserve, but for now, on this day that we'll adopt for our profession, I have my own awards in regard for the fellow engineers of my family. Your family is truly blessed with brilliant minds. Although your cousin is gone, her work lives on to touch lives and change perceptions, that is really the purpose of living, IMO.